What a difference a week makes. “Big Feet” faces many of the same challenges that last weeks’ Cinderella-themed episode had to deal with, bringing in a character from legend that is well-known but perhaps doesn’t necessarily fit easily within the world Grimm has created for itself over the course of its first season. This time, that story is Bigfoot, which gets introduced via some Blair Witch Project documentary camerawork as some cryptozoologists run into a very angry creature. But I’ll be damned if Grimm doesn’t just pull the whole thing off. Just about everything that went wrong with last week’s episode—too much focus on the episodic characters, not enough of Nick/Hank/Monroe, little exploration of any of the relationships the show has built so far—didn’t happen here, instead replaced by a rather taut and thrilling standalone episode that manages to whip through an interesting bit of Wesen subculture while also slowly advancing the glaring fact that Nick will have to tell Juliette exactly who he is. Juliette gets called out to a farm to tend to a horse that’s been attacked, and while she and the stable owner investigate a broken fence, they come across the gruesome scene, with bodies disemboweled and blood everywhere. One woman survives, and soon there’s a media shitstorm over a Bigfoot sighting and apparent murder—but Captain Renard has already proven adept at calming the press and appearing stately in front of the cameras, settling everyone down. To make matters worse, that Bigfoot trundles into Monroe’s house, in some sort of half-state of Wesen freakout. He can’t hide himself properly, and Monroe calls in Nick’s help. I like the way that Nick has straddled the Grimm/detective line since “Cat and Mouse,” where he’s much more involved in keeping the Wesen side of his life in a kind of balance that doesn’t threaten to disrupt the other part of his life and keeps his identity somewhat safe. But as with any tenuous balance, the whole structure can come falling down at a moment’s notice, and it’s far more interesting to see a world in upheaval with characters struggling to make sense of things than it is to see a totally balanced one. First and foremost in fixing the problems from last week, the show doesn’t wait until two-thirds of the way through the episode to shoehorn Monroe into the plot, he’s involved from the beginning. The bigfoot in question—or Wildermann as the Wesen is apparently known—is named Larry, and is part of some sort of Wesen support group Monroe belongs to. It’s a lot like AA meetings, designed for impulse control and community support. There’s also a somewhat renowned doctor for the Wesen world named Constantine Brinkerhof (played with a sinister/studious balance by Roger Bart), who’s developed a strange homeopathic treatment designed to completely reign in Wesen abilities and render them totally under control. When Nick confronts the doctor, we hear the sound effects associated with a Wesen revealing their inner self to Nick, but Brinkerhof’s face doesn’t change—the first small clue that whatever he’s done to the other men who have turned up as rage monsters before dying, he’s also done to himself. Silas Weir Mitchell has been turning in the best work on Grimm this entire season, and tonight is just another great example of how he can improve an episode. His scene alone with Brinkerhof—which has some nice undertones of Dr. Jekyll and Mr. Hyde to it—before Hank and Nick show up, is one of the best conversations scenes the series has ever produced, and confronts the very way Monroe lives his life. Brinkerhof’s treatment is supposedly a cure-all, but the chemical insert removes Wesen’s choice to control how and when they give into their creature urges. It takes away the choice of self-control in a way that attempts to alleviate the responsibility of potentially disastrous incidents for dangerous types of Wesen. 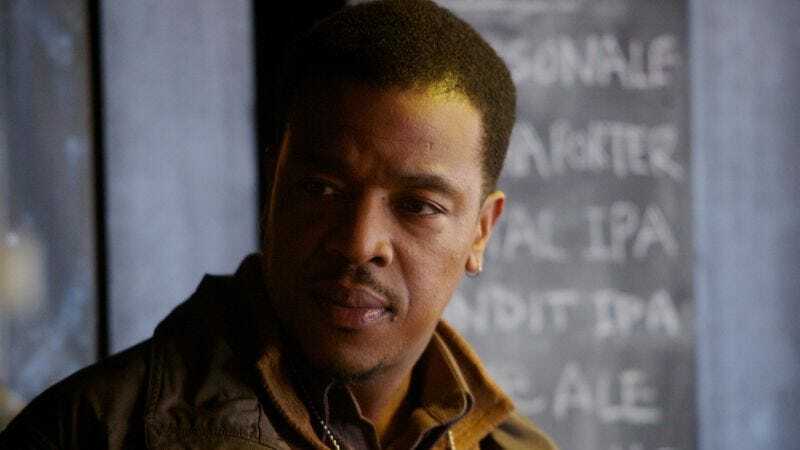 Monroe disagrees with that treatment, choosing instead to seek the support of other Wesen trying to live peacefully and accepting that personal setbacks occur. It’s a small and protracted debate on how to battle personal demons, but it’s one of the few instances that Grimm has ever produced with its more fantastical elements that can be interpreted on multiple levels. The beaver lodge voting against helping Nick a few weeks ago, and the plumber’s conversation in the stairwell with Nick, is another example of this, but Mitchell plays the scene well, and his character has come a long way from the ironically meek and twee Blutbad from the pilot. Once Brinkerhof flies into a frenzy and battles with Monroe, he breaks free and the police chase him down. It’s a simple conclusion, but with an exciting, sort of contrived set piece. Having Nick and Hank track the guy up into the catwalks of a theater ratchets up the tension nicely. Every so often the camerawork and lighting really hit a high note, and “Big Feet” is another episode I’ll remember for a much more intense visual style. It features high contrast, very deep shadows, and a pretty cool use of light rain, that doesn’t come in very big on the soundtrack, but makes the constant use of flashlights look a lot cooler. Hank has really gone through a lot this season, getting drugged by Adalind, suffering hallucinations, and now he thinks he’s going crazy now that he’s seen Monroe as a Blutbad in quick passing—and not fully recognized him—and then seen Brinkerhof as a Wildermann before he dies and reverts back to human form. Nick takes the monstrously stupid approach of trying to deny seeing what Hank sees, playing it off not as crazy talk, but just as some sort of unimportant detail. I have to wonder at the decision to make the big showdown of the season, the last confrontation and reveal planned for the finale, all about Nick trying to explain the abilities and world he’s been exploring all season to Juliette. Nothing about Renard, though apparently we’re going to get more about the Fuschbau coins, and seemingly no attempt to explain the world to Hank. Juliette has a bit more of the world figured out, and had to endure a home invastion from a giant earlier this season, but I think it’s safe to say Hank has suffered as well, since he nearly died from Adalind’s concoction. I’ve said it before, but I still think Hank and Juliette tend to serve much of the same purpose as characters, which makes them feel redundant. Nick keeps avoiding telling them anything about his abilities, and I’m convinced that’s because avoiding the situation for as long as possible puts off the possibility that an explanation will fall flat and fail to make sense to the audience. 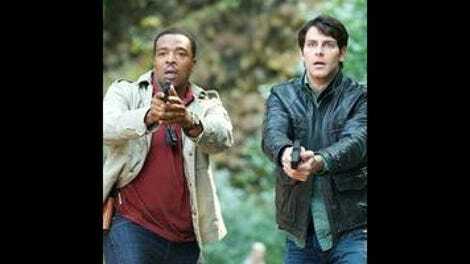 Grimm has swung wildly up and down this season, finding footholds when it hits on inventive twists to certain fairy tales, or whenever the Rosalee/Monroe/Nick team fired on all cylinders. A heavily episodic show goes through this kind of upheaval as it tries to strike a balance, and I’m more than willing to wait out the rough patches if it means I’ll get to watch solid hours of supernatural, spooky storytelling like this one. The epigraph comes from “The Little Donkey,” one of the most bizarre Grimm fairy tales I’ve ever read. It’ about a donkey that roams the countryside playing a lute, who eventually marries a princess—but the donkey is actually a prince wearing a donkey skin. I have no idea what the significance of using that quote in a Bigfoot story is supposed to be. Monroe marking his territory in the pilot finally makes a comeback, throwing the police dogs into a fit in a nicely funny way that keeps them from finding Larry at Monroe’s place. I assume Bree Turner won’t be in next week’s finale and that she just ran out of appearances for this season. That’s kind of unfortunate, but she’s back as a regular next season so I’m optimistic her return will boost things a bit. It would have been nice to get her opinion on the whole Brinkerhof treatment idea.